Even though Amsterdam first of all is a city of museum, there are some buildings and things that should still be considered attractions. 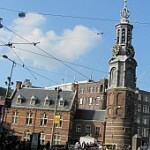 We will list the most important attractions in Amsterdam below, and we hope some of them will sound interesting to you. But, do not forget to read about the museums in Amsterdam.